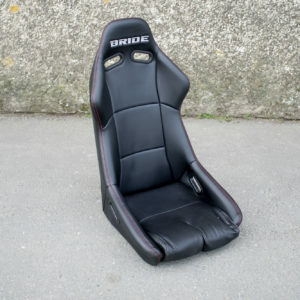 BRIDE RACING SEAT – CUGA Super Aramid – Black Carbon Red Logo Cloth with ghost text Recliner Condition as pictured. Rails not included even if pictured. 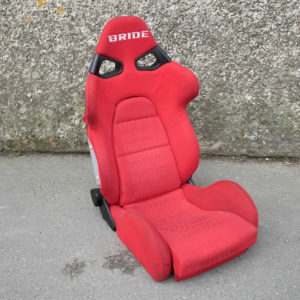 BRIDE PROS Black with Red stitching Fixed back Leather Finish Bottom Mount seat rail required Condition as pictured. Rails not included even if pictured. 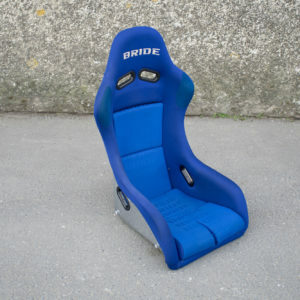 BRIDE RACING SEAT – ZETA III Blue with ghost text. 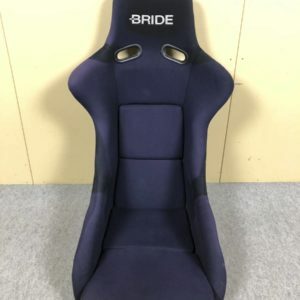 White Bride logo headrest. Sparkle glitter back. 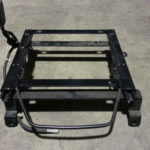 Fixed back FRP. Side Mount seat rail required. Condition as pictured. Rails not included even if pictured. 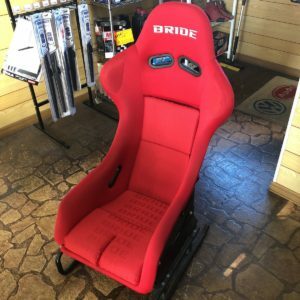 BRIDE RACING SEAT – ZETA III Black cloth. 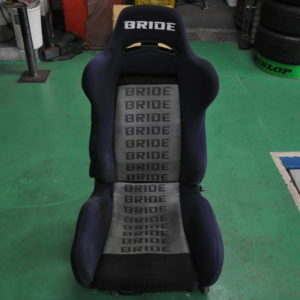 White Bride logo headrest. 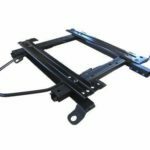 FRP back, fixed back type. 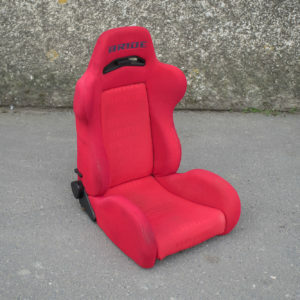 Includes option rear cloth cover. Side Mount seat rail required. Rails not included even if pictured. 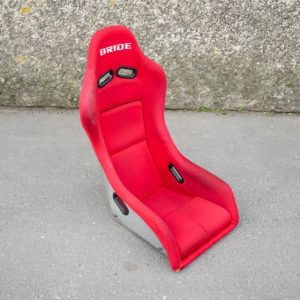 BRIDE RACING SEAT – ZETA III Red cloth. 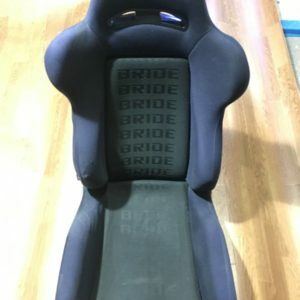 White bride logo headrest. FRP glitter back, fixed back version. Side Mount seat rail required. Rails not included even if pictured. 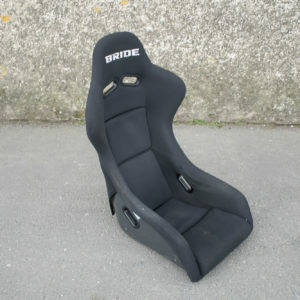 HONDA ACCORD / TORNEO SEAT RAIL – BRIDE RECARO SPARCO Etc. 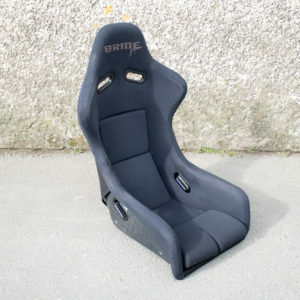 HONDA CIVIC / CRX SEAT RAIL – BRIDE RECARO SPARCO Etc. 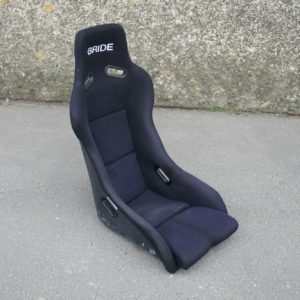 HONDA INTEGRA / ACCURA RSX SEAT RAIL – BRIDE RECARO SPARCO Etc. 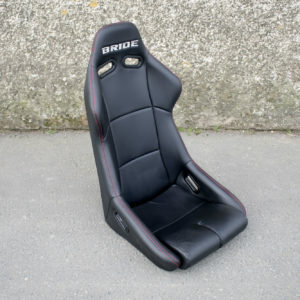 HONDA PRELUDE SEAT RAIL – BRIDE RECARO SPARCO Etc. 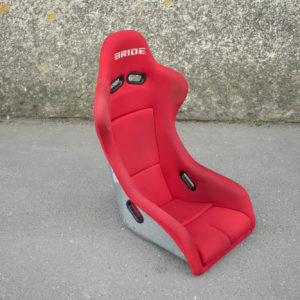 HONDA S2000 SEAT RAIL – BRIDE RECARO SPARCO Etc. 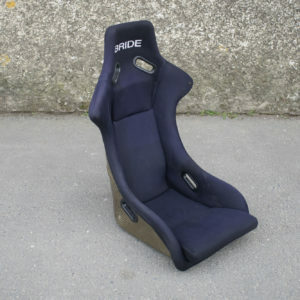 LEXUS GS / TOYOTA ARISTO SEAT RAIL – BRIDE RECARO SPARCO Etc. 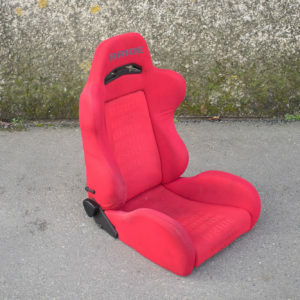 MAZDA MX5 SEAT RAIL – BRIDE RECARO SPARCO Etc.